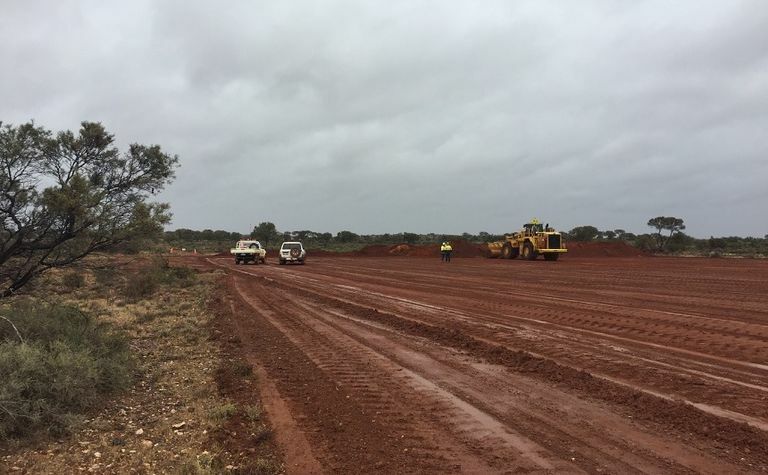 Developer Kin Mining (AU:KIN) is on the front foot as it works to achieve the first gold pour from its 1.02 million ounce Leonora Gold Project (LGP) in Western Australia later this year. 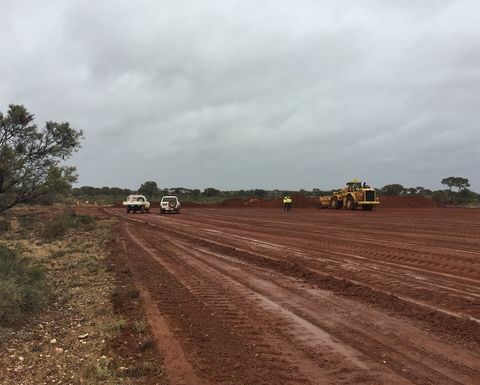 The company has started site works at the project in the state's renowned Goldfields and is already looking to achieve further resource growth, along with production and cashflow. "Our number one message is growth - we're growing the business centred around an aggressive exploration campaign planned for 2018," chairman Trevor Dixon said. "We have a 100%-owned gold project and our definitive feasibility study outlined a high-margin, cash flow business that repays its preproduction capital within 11 months. "It's an impressive project and we're proud to have it." He said Kin was well on its way towards production and cash flow. "Site works are underway, the infrastructure has been secured and Kin is on a clear pathway to gold," he said. 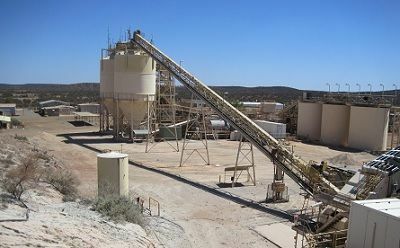 The company announced the decision to mine in December and is aiming to produce 55,000 ounces per annum over an initial seven-year minelife. The DFS forecast a life-of-mine revenue of $596.1 million and surplus operating cash flow of $167.9 million, using a gold price of A$1,600/oz. This compares with the local gold price this week around $1,700/oz (US$1,356/oz). Kin has secured the pre-production capital for the LGP development, thanks to a modest capex of $30 million (not including an 18% contingency of $5.4 million) and backing from astute Sprott Private Resource Lending for $35 million (US$27 million) through a senior secured credit facility. "We're delighted to be partnering with Sprott," Dixon said, adding the investment decision had involved rigorous due diligence. "It adds further credibility to LGP and its development. "We very much had to put our best foot forward and the team came through with an absolutely positive result in very short order, which reflects on the viability of the project, and the efficiency of the Kin Mining team." The company has kept development costs down and stayed ahead of the curve by securing critical infrastructure early on. It secured the Lawlers processing plant, which had been on care and maintenance for two years just 160km away, and a 2.5MW ball mill in good condition which is expected to increase milling capacity up to 1.5Mtpa. "Kin was fortunate to secure long lead items at competitive prices," Dixon said. 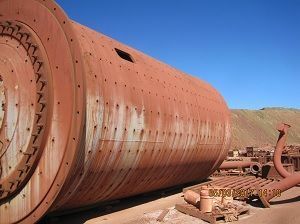 "An equivalent ball mill would cost around $4.5 million (US$3.6 million) and this one comes with spares. "We're looking to fully refurbish that mill and we're expecting costs of around $350,000 to be able to do that and it will take about 12 weeks to be ready for installation. "A new one would take about 40 weeks from order to delivery and we have secured it already, so you can see we've kept ourselves ahead of the curve here." He said discussions with a refurbishment contractor were advancing ahead of schedule and it should provide the company with certainty regarding grind size and to maximise recovery at LGP. 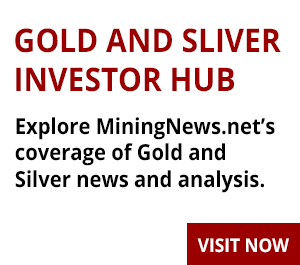 "It delivers on our mining plan that was outlined in the DFS and puts us in good shape to reach our goal of pouring first gold by the end of the year," he said. "This wouldn't have been possible if we didn't have the key permits in place and critical infrastructure in place. "We're now actively operating on the ground, which is extremely rewarding for the team, they've been working very hard to this point and have come a long way in a very short time. "It's a very exciting time for our staff and our shareholders as we develop the LGP." Aside from the Sprott backing, Kin has also received further investor support, recently raising a total of $10 million (US$7.9 million) through a placement and rights issue to accelerate exploration. Glenn Grayson was appointed as exploration manager last month and Dixon said the experienced Goldfields geologist was settling in well. "Kin prides itself on its family approach - that's where we got our name from - and Glenn has been welcomed into the Kin Mining family team with open arms so it's absolutely wonderful for us," he said. The area's potential is yet to be fully established and Kin's exploration efforts last year drilled more than 40,000m and resulted in a 42% increase in resources. "It was a staggering increase on the previous estimate," Dixon said. "It's nice to say ‘we think we've got something pretty damn good' and put it through the rigours of feasibility and additional drilling and come back with fantastic results. "But what we really did gain was considerable insight into the viability and potential of the region." The company has now set itself the lofty target of accelerating exploration during 2018 in parallel with the development team pushing towards production. Dixon explained the hunt was on not only for more ounces but also for higher grades, which would enable Kin to increase the deliverable ounces to the business and add value for shareholders - all without the need to upgrade the infrastructure and plant being currently readied for production. 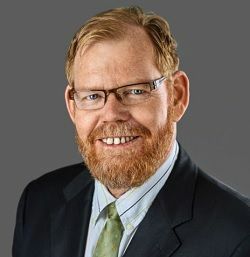 "A simple equation for us is that an additional 0.5g/t headgrade into the LGP mill will deliver an additional 25,000oz per annum," he said. "A marginal increase in the headgrade will give exceptionally more ounces, with no additional cost in terms of preproduction capital." Meanwhile the company has been reorganising its corporate structure and transferring regional tenements into separate subsidiaries to create future flexibility. "The design is for a more effective management for each of the project groups, for either future exploration or transactions with other like-minded resource groups - so watch this space," Dixon said. It was also in the process of strengthening its skill set at board level at the time of going to print. Reflecting on the company's achievements, Dixon said Kin had taken significant strides towards development over the past year and would realise its milestone of first gold at LGP at the end of the year. "Added to this, Kin has exceptional exploration opportunities that are currently being exploited to continue to build our resource base … and the hunt for higher grades that will allow us to increase ounces and add value for shareholders without the need for upgrading our infrastructure," he said. "That's what sets us apart, but importantly, it's the high-margin operation with respect to the oxide ores and any increase in headgrade that will make a difference to our bottom line. "We have a tightly held structure, a tight group of shareholders and Kin has a family approach to delivering harmonious work across the team. "We're growing at a rapid pace and absolutely loving it."